Here we are once again, another holiday season is upon us – shopping, cooking, planning, preparing, entertaining – making lists and checking them twice. It really is a magical time of year, when suddenly most everyone’s focus changes and a giving spirit hums through the air. The holiday season means something different from family to family, but nearly everyone upholds a tradition of gift giving in some fashion or another. From office gift exchanges to Santa’s giant bag filled with toys, the idea of wrapping a special surprise in shining paper for someone that you care about and watching them open it in surprise and joy is an emotion that we all crave year after year. The often unfortunate reality of this process, is our innate desire to give that “perfect” gift and having no idea where to begin. And so, the quest for the perfect gift . . . Although we have all been plagued with this thought, women seem to have a slightly better knack for getting the job done than their male counterparts. Perhaps, women listen better or maybe just shop more and “know” what’s available but regardless, I’d like to share a little of my male insight on giving the perfect gift. First let me say, yes, I am a jeweler and have been involved in the jewelry business pretty much my entire life in some way or another. My parents opened Erncol Jewelry Shoppe (named for my sister and I—Ernest and Colette) in 1986. But I am also a “guys-guy” who lives for the Eagles, has season tickets to the Phils, plays ice hockey in a league as well as a father to a twinkling-eyed little lady, so my words are grounded in reality and not just sales. Why is the gift of jewelry almost always perfect? The list is nearly endless, dating back to the beginning of time. Jewelry has actual worth and has always represented power and wealth and over centuries has acquired symbolism that equates receiving and having jewelry with that of being loved, honored and treasured. No matter how dazzling the iPhone4 S is, it doesn’t carry the unspoken meaning of a simple band of gold. History aside, there are some very simple reasons why giving the gift of jewelry will (almost always) be perfect. First and foremost, jewelry is a gift that can be worn every single day and the metal actually warms to your body temperature, as it is always against your skin. The recipient, can without effort look at or touch the gift as a constant reminder of the sentiment and thus the giver. Secondly, women love to discuss the gifts they receive and whereas a gift certificate for a spa day is certainly desirable, it will never replace the rush of energy and excitement that runs through her when she can lift her wrist to show-off a delicate sprinkle of tiny diamonds scattered on a gold bracelet. Women love to show-off their gifts! 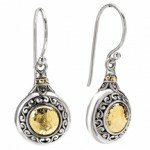 Lastly, jewelry – lasts. That iPhone4 will be replaced in a matter of months and even the lavish gift of a new automobile, will in time be traded in but jewelry is something that you keep, you treasure and often pass on for someone else to fall in love with. 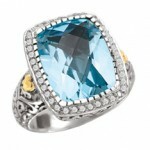 As a final note let me add that cost is rarely the determining factor in just how truly perfect your gift of jewelry is. I have a friend who has a very covetable collection of fine jewelry and when I asked her what her most treasured piece was, she quickly responded that it was a teeny-tiny sliver of a gold band that her partner gave her with the inscription CTH+TRL. “It literally cost $90 and I never, ever take it off. It gives me a warm smile each time I look at it”, she said. So unless you know for a fact that the woman in your life is pining away for a new Vitamix or has unabashedly begged you for an iPad I personally would suggest the magical gift of jewelry. 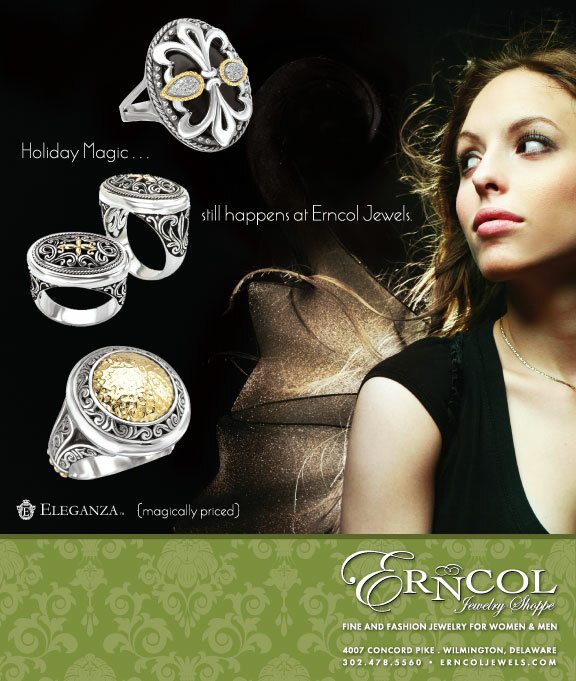 Erncol Jewelry Shoppe is located at 4007 Concord Pike (at Silverside Road) and is open Tuesday through Saturday, 10am until 5pm with evening hours upon request. “I took my diamond tennis bracelet to Erncol’s for a clasp repair. Not only was it repaired for a very reasonable cost, it was so clean and polished, it looked better than new”. ~ Nancy K.
← Previous Story Fun is the Buzzword for Holiday Shopping at Lady’s Image!